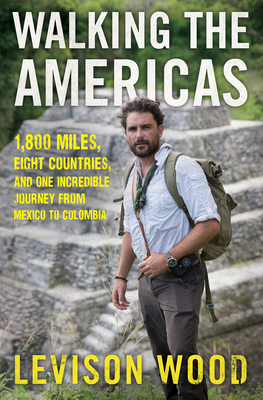 Levison Wood's famous walking expeditions have taken him from the length of the Nile River to the peaks of the Himalayas, and in Walking the Americas, Wood chronicles his latest exhilarating adventure: an 1,800-mile trek across the spine of the Americas, through eight countries, from Mexico to Colombia. Beginning in the Yucat n--and moving south through Belize, Guatemala, Honduras, Nicaragua, Costa Rica, and Panama--Wood's journey takes him from sleepy barrios to glamorous cities to Mayan ruins lying unexcavated in the wilderness. Wood encounters indigenous tribes in Mexico, revolutionaries in a Nicaraguan refugee camp, fellow explorers, and migrants heading toward the United States. The relationships he forges along the way are at the heart of his travels--and the personal histories, cultures, and popular legends he discovers paint a riveting history of Mexico and Central America. While contending with the region's natural obstacles like quicksand, flashfloods, and dangerous wildlife, he also partakes in family meals with local hosts, learns to build an emergency shelter, negotiates awkward run-ins with policemen, and witnesses the surreal beauty of Central America's landscapes, from cascading waterfalls and sunny beaches to the spectacular ridgelines of the Honduran highlands. Finally, Wood attempts to cross one of the world's most impenetrable borders: the Dari n Gap route from Panama into South America, a notorious smuggling passage and the wildest jungle he has ever navigated. One of the rawest and most exciting journeys of his life, this expedition required every ounce of Wood's strength and guile to survive. Walking the Americas is a thrilling personal tale, an accomplished piece of cultural reportage, and a breathtaking journey across some of the most diverse and unpredictable regions on earth.